A day before Gap’s announcement, the Congressional Budget Office (CBO) released a report on the effects of raising the federal minimum wage. The report concluded that raising it would increase the pay and family income for most minimum wage workers. The CBO estimated that increased earnings for minimum wage workers would be $31 billion, and move about 900,000 people above the poverty line. However, the CBO analysis pointed out that families whose income increases “tend to raise their consumption.” Clearly, that is something which Gap understands. Other companies pay higher minimum wages, including Costco, which pays a minimum hourly wage of more than $11. Last year, Costco CEO and President Craig Jelinek spoke out in favor of a bill that would raise the federal minimum wage to $11.50 an hour. “At Costco, we know that paying employees good wages makes good sense for business,” CEO Craig Jelinek said in a statement. He added that an “important reason for the success of Costco’s business model is the attraction and retention of great employees.” The company chooses to “minimize employee turnover and maximize employee productivity, commitment and loyalty” by offering higher wages. Perhaps Costco's success with paying higher wages has influenced Gap to do the same. 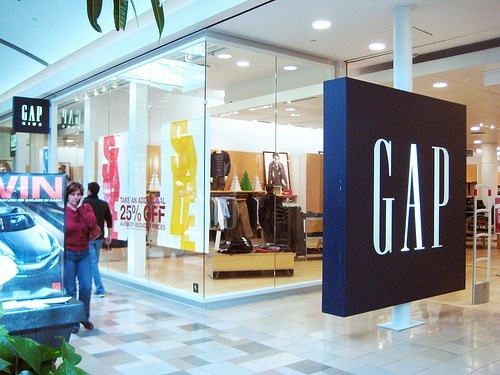 Given Gap's size, it just might influence other companies to do the same in turn.